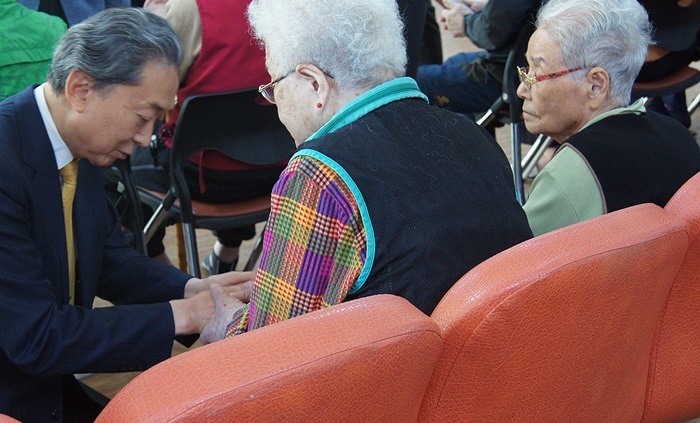 Former Japanese prime minister Yukio Hatoyama, on his knees, offers words of consolation to the surviving victims of atomic bombings at Hapcheon, Gyeongsangnam-do province. Former Japanese prime minister Yukio Hatoyama, well known for being a pro-Korean politician, visited Hapcheon in Gyeongsangnam-do province on Oct. 3 and apologized to the surviving Korean victims of the atomic explosions in Hiroshima 73 years ago. 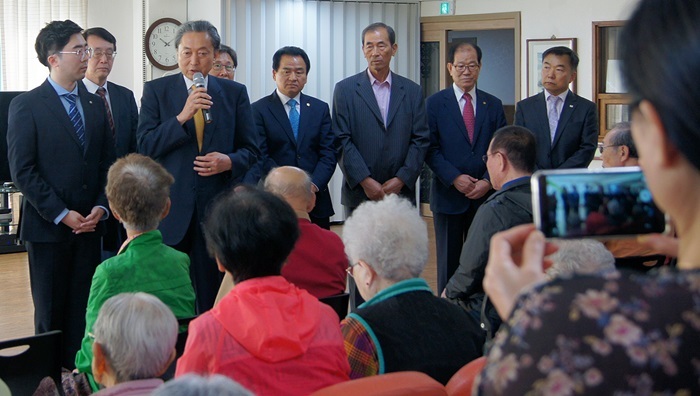 The former Japanese prime minister visited a welfare center for atomic bomb victims in Hapcheon and paid tribute at a memorial altar inside the facility. 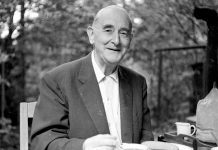 He then attended a meeting with about 30 victims and said, “I would like to apologize for the damage caused by U.S. atomic bombings and Japan’s colonial rule.” He knelt and held the hands of each of the elderly victims, offering words of solace to them. “I apologize for the Japanese government’s failure to provide sufficient support to the Korean victims of atomic bombings,” the former Japanese leader said. 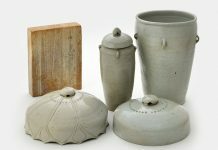 About 600 of 2,000 Korean atomic bomb survivors live at the Hapcheon welfare center, which is the largest community of survivors in the country. Yukio Hatoyama is the first Japanese politician to meet with the Korean victims and offer his apology. 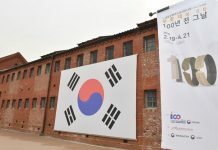 In 2015, Hatoyama also knelt in front of a memorial stone at the Seodaemun Prison History Hall in Seoul, expressing remorse over Japan’s wartime acts. Former Japanese prime minister Yukio Hatoyama offers apology to the surviving victims of atomic bombings at Hapcheon, Gyeongsangnam-do province.